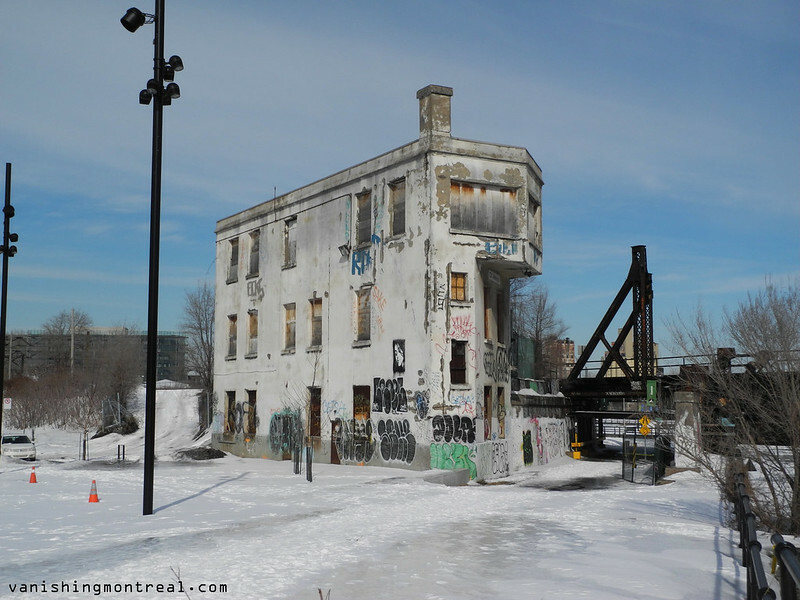 The long abandoned Wellington Control tower in Griffintown will be revamped into a cultural center, at a cost of nearly $5 million. I can't wait to see the final results. La Tour de contrôle Wellington dans Griffintown, longtemps abandonnée, sera réorganisée en un centre culturel, à un coût de près de 5 millions $. Curieux de voir le résultat final. Old-time railroaders and fans will remember the lighted arrow on the side of the building adjacent to the tracks. A lit arrow would show inbound trains' conductors on which side of the train the platform would be upon arrival in Central Station.